When we think about bed bugs, many of us probably think about a live bug moving around our living spaces and taking up residence under our mattresses. 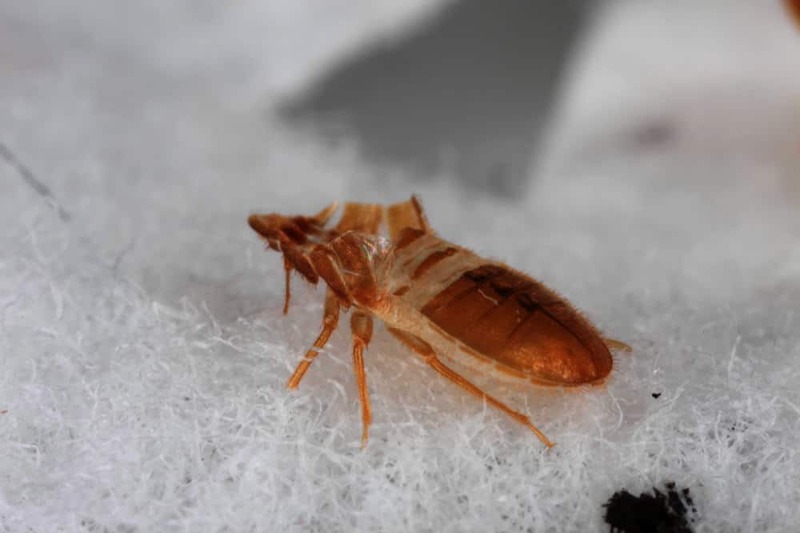 While understanding the life cycle of a bed bug can be helpful when trying to eliminate them from your home, you probably don’t know much or anything about bed bug shells, skins, or casings. I believe the more information you learn about something, the better. Discussing the bed bug exoskeleton is not meant to make your skin crawl even more or gross you out but instead, give you a better understanding of bed bugs in general. What Are Bed Bug Shells & Casings? What Do Bed Bug Shells Look Like? Where Are Bed Bug Casings Normally Found? Does Finding Bed Bug Skins Mean You Have Bed Bugs? What Other Insects Moult Their Casings? Bed bug shells and casings are the same, but you may hear them described as one or another. 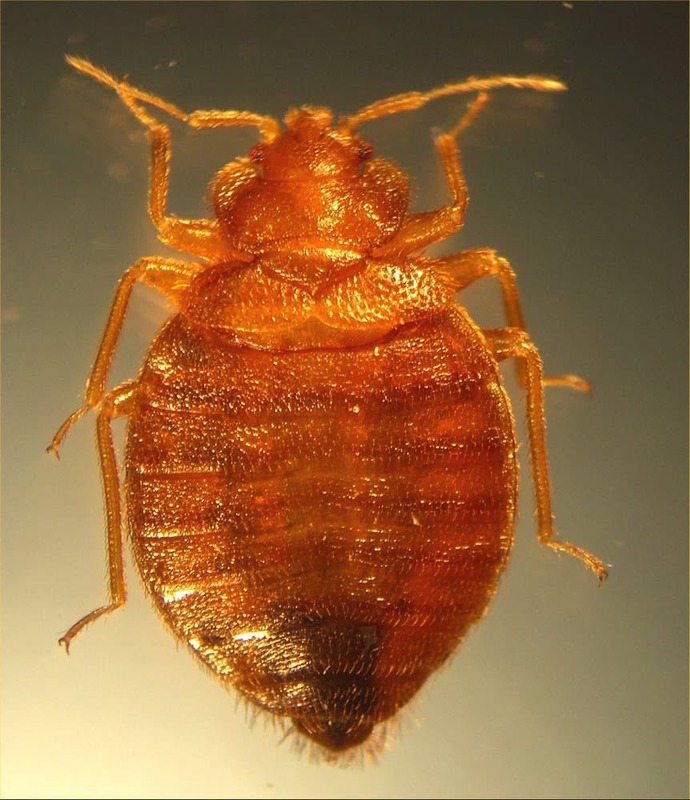 Since bed bugs are an insect, they have a skeleton (or exoskeleton) on the outside of their body, and like all insects, a bed bug must shed its skin to grow. A bed bug exoskeleton that has been shed is often known as a shell or casing. Before we discuss bed bug shells and casings any further, it may be a good idea to briefly discuss the life cycle of a bed bug. After mating, females lay their eggs into small spaces. 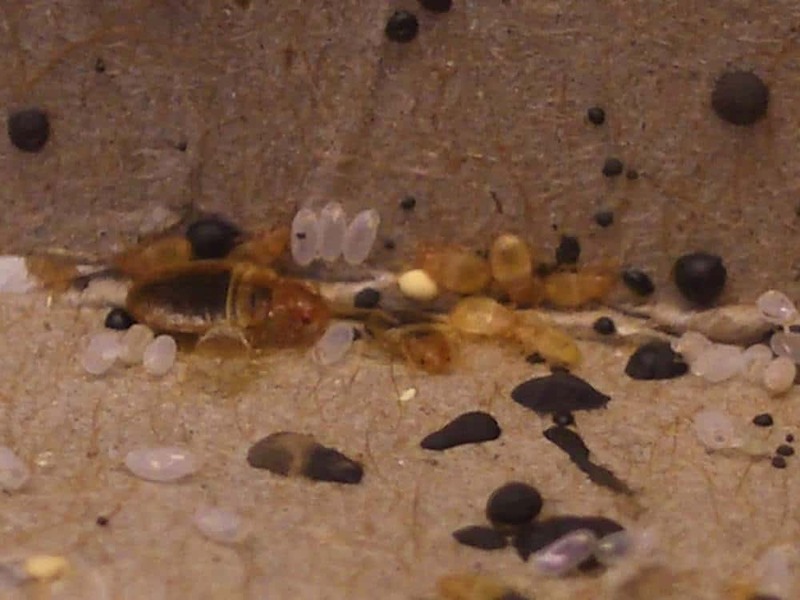 The eggs hatch in about six to ten days and the bed bug egg becomes a nymph (or immature bed bug). 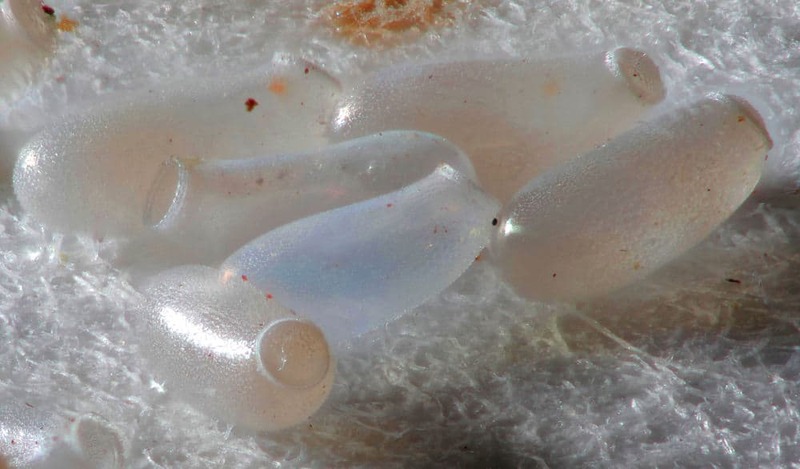 When the eggs hatch, they leave behind empty egg casings. Once the nymph emerges from its egg, it seeks its first blood meal. Since a nymph must go through five stages before becoming an adult, it will molt (or shed its exoskeleton) five times. Each time a nymph sheds its shell and leaves behind a casing, it can enter the next stage of life. Since the size of the shells or casings may vary, many people assume that adult bed bugs shed their exoskeleton. On the contrary, any casings you come across belong to the eggs or a nymph at a various stage. 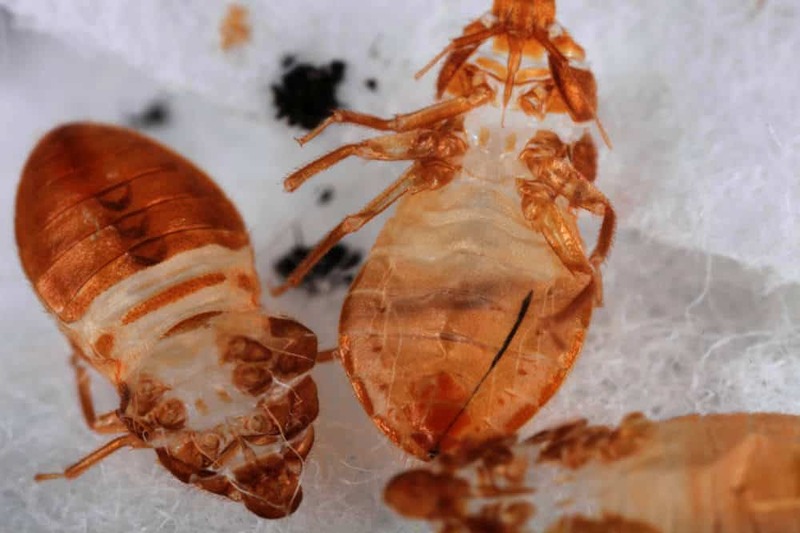 Once a bed bug has reached adulthood, it no longer sheds or grows. Many people wonder what a bed bug shell looks like and in most cases, it looks just like the bed bug but without the body on the inside. Many shells are undamaged, and it appears as though the nymph magically disappeared from its exoskeleton. Don’t know what a bed bug looks like? Many people think they know what one looks like but ends up mistaking it for other bugs, like carpet beetles. Since proper identification is essential, this would be a good time to discuss how to identify a bed bug at its various stages properly. As I mentioned earlier, the type of shell or casing find will depend on which stage the nymph was in as it emerged from its shell. 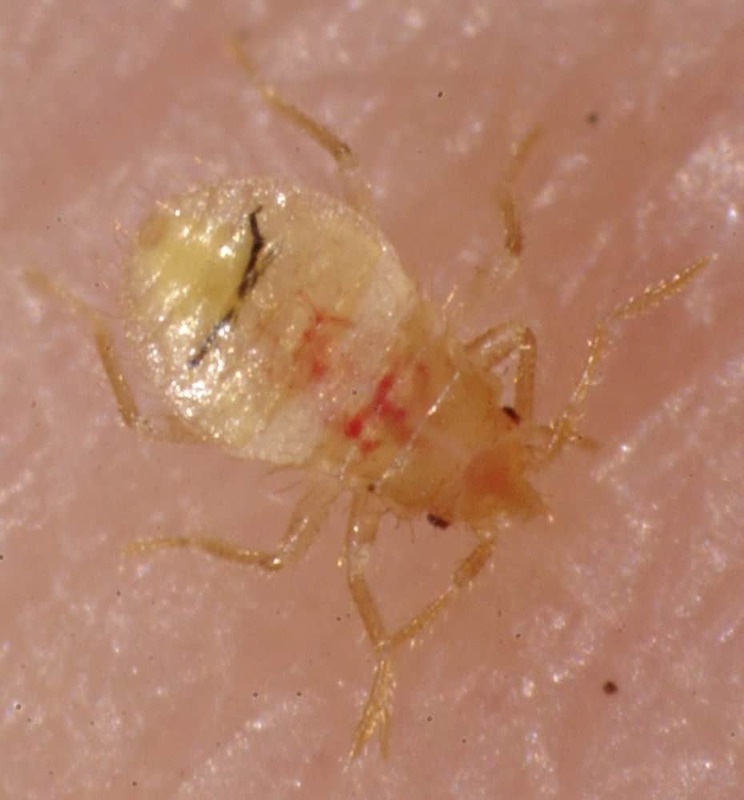 Nymphs have the same characteristics of adult bed bugs, but the main differences between adults and babies are the color and size. Although you’re more likely to see shells of nymphs, you may come across some bed bug egg casings. Bed bug eggs are only about 1/16 inches in length, are oval-shaped, are white, and may resemble other insect egg sacs. If you’re unsure of what you are seeing, a quick online search can be helpful. The larger the infestation of bed bugs, the more casings you will find lying around. 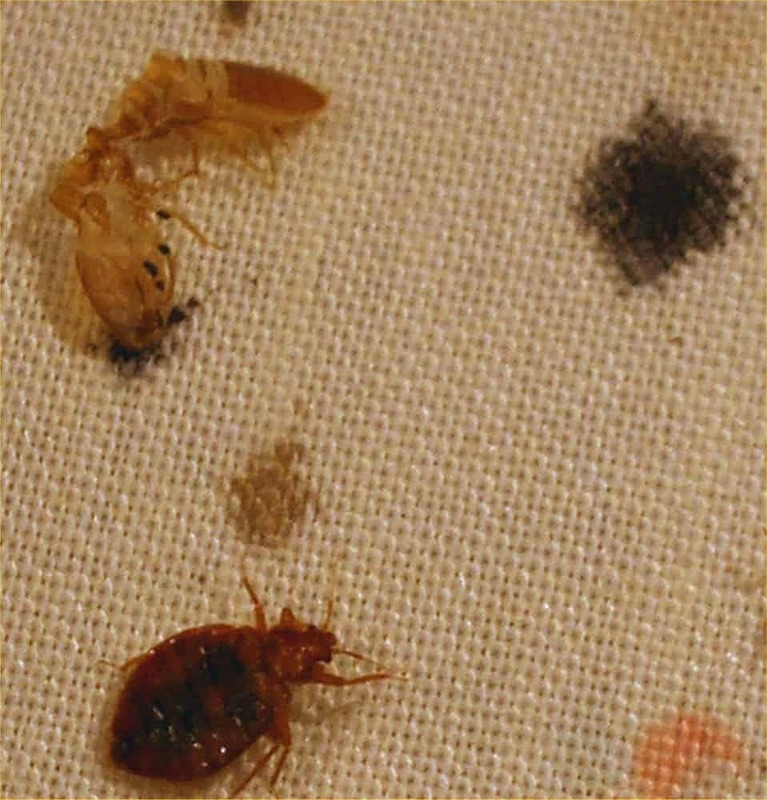 Most molted casings are in areas where bed bugs gather together in groups. Given that bed bugs are more likely to group together than go out on their own, casings may be anywhere throughout your living space. Since bed bugs like to stay close to where their host (you) sleeps, you will probably find more casings in and around your bed, such as along the mattress seams and behind the headboard. 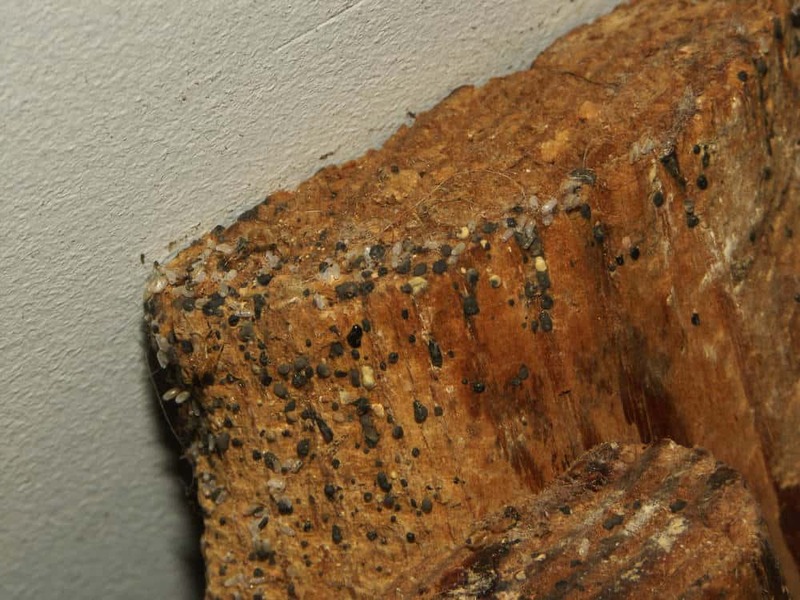 Other common places to find a variety of sizes of bed bug casings are in areas where the ceiling and wall meet, along baseboards and also in air conditioners and furniture. You may also discover them stuck to personal belongings like clothes, especially if you are prone to leaving items strewn across the floor. The short answer is “yes.” It’s natural to assume that finding bug shells may equate to an insect that has died. Yet, don’t forget that young bed bugs shed five times before adulthood. Therefore, it’s safe to say that if you find bed bug skins (regardless of the size), you have an infestation. Remember, like most insects, if bed bugs are left undisturbed they will continue to reproduce. A female bed bug can lay up to 250 eggs in her lifetime, which can result in a large infestation if left untreated. Discovering bed bug shells means that you have bed bugs and like many people, you might be wondering what to do next. Before you start vacuuming up bed bug casings, take a little time to assess areas of your bedroom. Flip over your mattress and start inspecting your box spring and the underside of your mattress. If you see reddish-brown smears or clusters of dark spots, they are usually tell-tale signs of bed bugs. When you do a little investigating, you may even come across a live bed bug scurrying to hide. 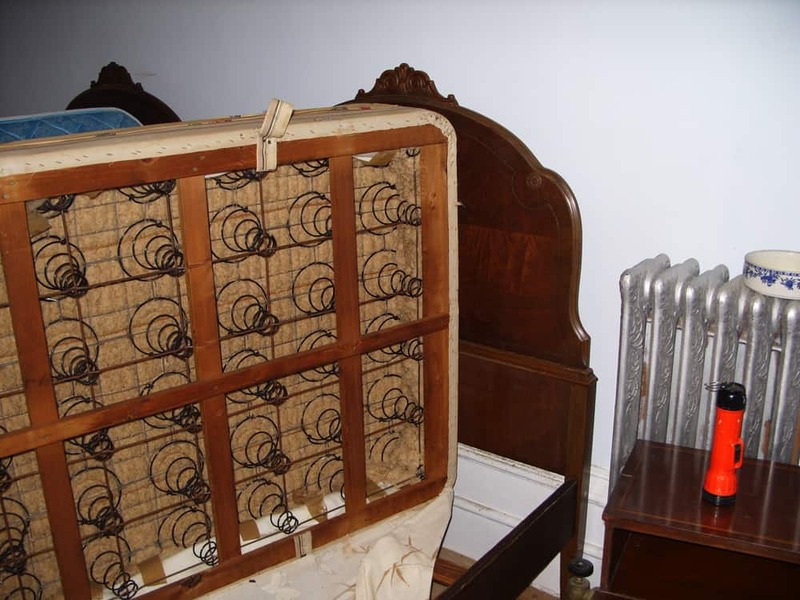 Encase your mattress and boxspring with a bed bug proof cover. It’s also important to eliminate clutter and toss out anything that you don’t think can be salvaged. Fix and fill any cracks to prevent bed bugs from hiding. Bed bugs can hide pretty much anywhere, so don’t be surprised if you find casings and live bugs in the smallest of spaces. If your DIY home treatments don’t seem to do much for eliminating the bed bug population, you probably want to seek the advice and action of professional exterminators. I took the time to tell you how to properly identify a bed bug because they are far from the only insect that moults. Why do insects moult? As I mentioned earlier, insects shed their exoskeletons so they can grow. The bed bug only moults five times in its lifespan, but some insects will moult up to 60 times. If I covered all the insects that moult, it would take a lot of time. From beetles and cockroaches (which are often mistaken for bed bugs) to cicadas and other “true bugs,” there are hundreds, if not thousands of insects that moult their casings during a lifespan. The best way to know if the insect casings that you find belong to bed bugs, is to consider the identifying characteristics that I shared with you and to search online for pictures of bed bugs. If you’re still unsure, contact an entomologist or call an exterminator. Whether you live in an old apartment building or a brand new home, you are likely to come across bug casings at some point. The information I have shared with you should help you determine whether or not the insect casings are bed bug shells or belong to another insect. Although discovering insect casings can be a little unnerving, if you act quickly and take the appropriate steps you can prevent a bed bug infestation from getting out of hand.